The terms “epic” and “spectacular” have been cheapened by overuse these past decades, but here is a movie that really deserves them. The story is well known, written by a former US Civil War general, Lew Wallace, while he was governor of New Mexico and otherwise preoccupied with the shennigans of Billy the Kid: Judah Ben Hur (Charlton Heston), a Jewish nobleman, is unjustly sentenced to the galleys by his childhood friend, Messala (Stephen Boyd), now a high Roman official in Palestine. Years later he manages to escape and returns to Palestine to find his mother and sister, condemned to prison with him, and to exact revenge on Messala. In paralell with Judah’s travails a young Jewish rabbi from Nazareth starts to preach a message of peace and justice. The more intimate scenes between the characters also resonate. Wyler and Boyd agreed that Messala’s motivation for turning on Judah was that on Messala’s return to Jerusalem Judah, his former lover, spurns a contination of their relationship. This is how Boyd plays the scene. Both Boyd and Wyler agreed however that the deeply conservative Heston would not be impressed with this reading and so didn’t deign to tell him. As a result Heston’s performance is solid mahogany in all his scenes with Boyd – accentuating, one can see, Messala’s hurt and frustration. Its an amazing piece of work, all the more so for being achieved without the sort of computer generated imagery that is now commonplace in cinema. It will always remain a great way to spend an afternoon in front of the telly, but is even better if you get the chance to catch it in all its proper cinematic glory. 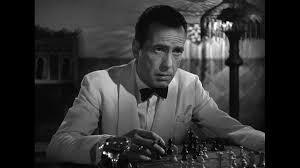 Washed up in Casablanca early in the Second World War, Rick Blaine (Humphrey Bogart), a veteran of the Spanish Civil War, runs a bar and tries to forget his previous political commitment. All this changes when Elsa (Ingrid Bergman), a woman from his past, turns up in town with Victor Laslo (Paul Henreid), a Czech leader of the Resistance, both on the run from the Nazis and in need of help to evade them further. If you don’t fall in love with the movie Casablanca when you see it there is, in my humble opinion, something wrong with your soul. It is a film that has just about everything: some great humour, some great songs, a poignant love story, political commitment, and it is a cracking wartime thriller to boot. It is one of the most quotable films in movie history (“Round up the usual suspects!”), but the wise cracking does not overshadow some powerful emotion: the La Marseilles scene, when the refugee clientele of Rick’s bar, many of them Jewish in real life, drown out the singing of the German soldiers, I still find one of the most electrifying in cinema history. 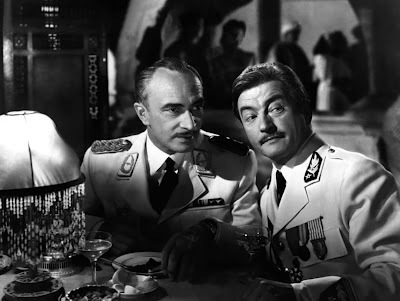 To add another level to this, the villian of the movie, Major Strasser, was played by the great Conrad Veight, himself a German and a committed anti-Nazi who fled Germany with his Jewish wife to continue the struggle, raising funds for the war effort by making movies such as Casablanca. The movie began as just another run of the mill production but somehow, not least through great casting and superb writing, it turned into something magical. It is brilliant at just about every level, and like any classic bears up to repeated viewing. It is a sublime piece of work, possibly the most joyously brilliant film ever made. At the end of the Second World War Holly Martens (Joseph Cotton), a hack Western writer, arrives in Vienna on the promise of a job from his childhood friend Harry Lime. On his arrival in Vienna however he discovers that Harry is dead and being buried that very morning. Dissatisfied by the police explanations of what happened to his friend Holly starts clumsily poking around himself. 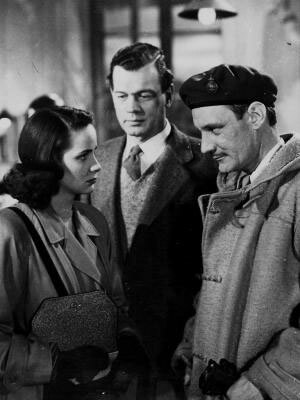 The Third Man is based on a Graham Greene story, but Greene was gracious enough to say that the movie is a better version of the story than the subsequent novella. Part of the reason for this was the presence of Orson Welles, adding both his considerable charisma to the film as well as his writing skills, most notably on the famous “cuckoo clock” speech by which his character explains his view of morality to Holly. 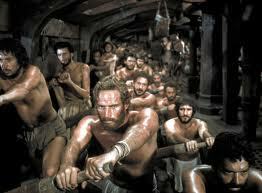 The novel is written from the perspective of a military police investigator Calloway (Trevor Howard). The movie, however, takes Holly’s perspective and communicates brilliantly his sense of disorientation in an unfamiliar city – every camera angle is slightly off-kilter – and of isolation – just about everyone speaks (unsubtitled) German. 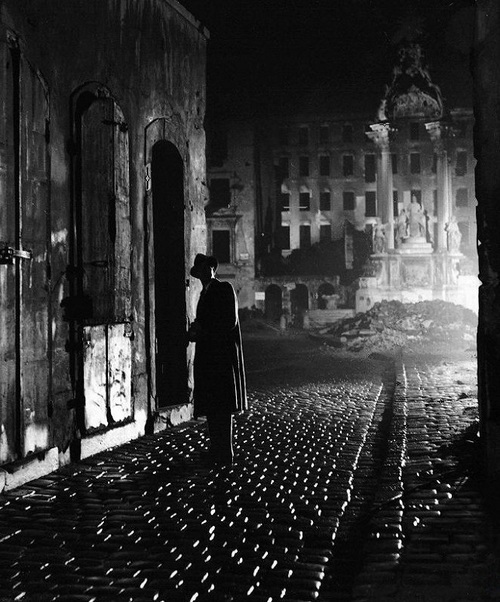 On top of all of this the cinematography of post war Vienna, reaching a climax in the sewers of the city, is exquisite and the zither soundtrack is a stroke of genius. This is a funny, beautiful, exciting and bleak work of cinema, replete with Greene’s trademark concerns of morality, Catholicism and betrayal. It is probably the greatest British movie every made and another contender for my list of greatest final scenes of all time. Let My People Go: Exodus the Movie! Having watched Exodus its easy to understand his reaction to being stuck in a cinema with little option but to endure watching this to the end. This is a film that takes its worthiness seriously and the result is a desperately boring affair. This is not helped by what seems to have been an artistic decision to keep almost all the action off screen. This helps from a propaganda perspective of not depicting the civilian carnage, as well as British military deaths, wrought by the Israeli Irgun bombing of the King David Hotel. But it doesn’t add to the entertainment value of the film. Only the prison break sequence does much to get the pulse racing. The disputes on methods between Hagannah and Irgun are touched upon, but then skated over: the Irgun are portrayed as serene and thoroughly humane despite their adherence to terrorism. Strangely though the character based on Menachem Begin is shown as wholly untroubled by the King David bombing, which he ordered, while accounts suggest that Begin was in fact deeply affected by the unintended civilian casulties. Though this does not appear to have dimmed his ruthlessness in the course of his subsequent career it does indicate a deeper human conflict that would have been artistically interesting to explore. Politically the film makes some interesting points, expressing hope for a sharing of the land amongst Jews and Arabs, though the reasons why this hasn’t happened are barely touched upon. 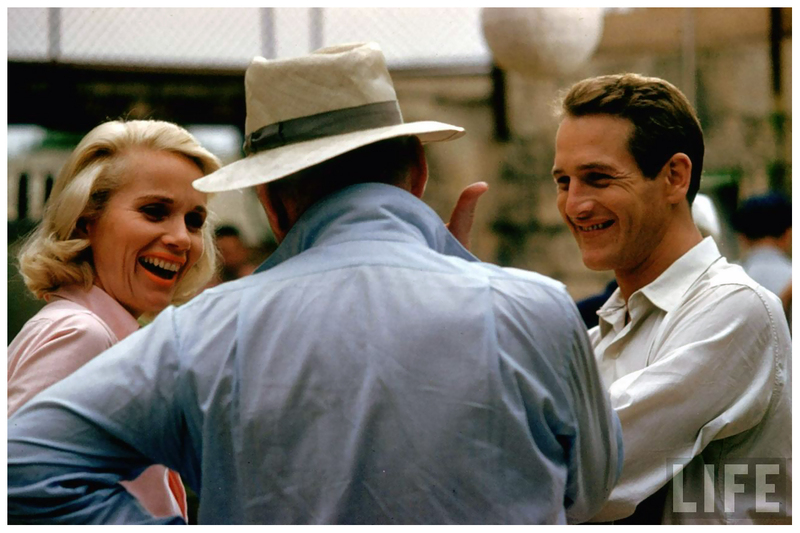 The acting in the film is a mixed bag: Paul Newman, Eva Marie Saint and Lee J Cobb are of course consummate professionals. Sal Mineo and Jill Haworth as young refugees and lovers are pretty woeful, not helped by the fact that their characters are stereotypes. The cinematography is exquisite. The score is justifiably legendary and promises something much more than the director managed to deliver. In fact it is the score rather than the director that gives the film any emotion it has. A film to watch perhaps from an interest in cinema history, perhaps from an interest in the portrayal of Israel in contemporary cinema, perhaps for an understanding of how Americans understand Israel. Not something to watch, I think, if you want to be entertained or moved. Lincoln traces the last few months of the 16th president’s life, focusing on his effort to pass the 13th Amendment to the Constitution ending slavery once and for all. Many reviewers have already noted that this is a movie about the US political process rather than the Civil War – so anyone who liked The West Wing, or the political sections of The Wire, will almost certainly enjoy this. But the few brief scenes dealing directly with the fighting – muddy hand to hand combat between black Federal troops and Confederates, Lincoln and his son’s visit to an army hospital, and the aftermath of a battle outside Richmond – give a powerful sense of the horror of the fighting in that war and the weight that it bore on Lincoln’s conscience. The cast of the movie is outstanding and it is difficult to fault a single performance: Tommy Lee-Jones and James Spader deliver scene stealing turns. Jared Harris and David Strathairn less showy performances but no less well judged. And Sally Field brings a great level of sympathy to the role of the often unfairly maligned, though undoubtedly difficult, Mary Lincoln. The centrepiece in this movie is, of course, Daniel Day-Lewis’ stunning performance as Lincoln. It is all the more powerful because it is so human: indeed part of Lincoln’s greatness arose from his profound humanity and capacity to relate on that level to some of his most intractable rivals. It is a lovely detail of this movie that one of Lincoln’s favorite approaches to relating to people, his witty anecdotes, are found, at times so infuriating by those closest to him: at one point Stanton, his War Secretary, storms off as Lincoln tries to defuse the tension as they wait for the results of a battle with his favorite story about Revolutionary War general Ethan Allan. 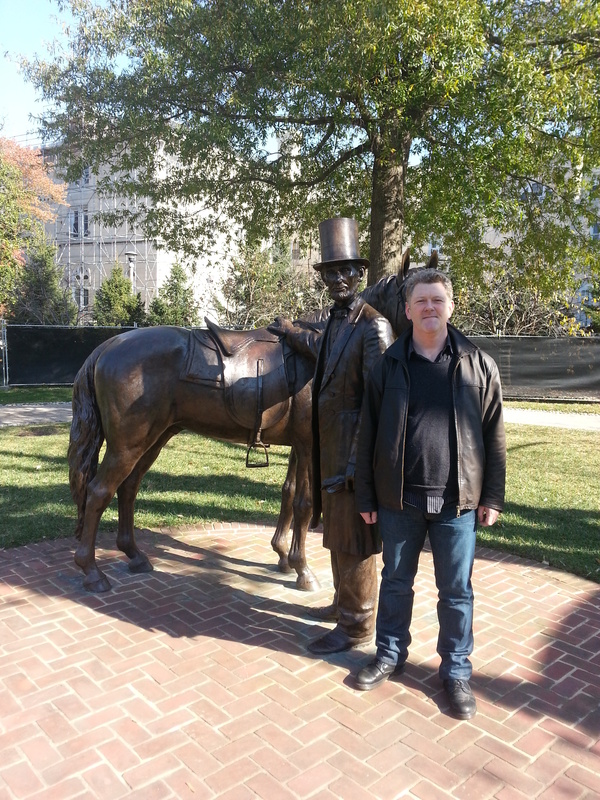 Of course, in spite of Lincoln’s efforts, slavery remains a huge problem in the contemporary world. The International Labour Organization estimates that a minimum of 21 million people are in forced labour in every region of the world today. I hope that movie ‘Lincoln’ inspires this generation of politicians to emulate just a modicum of Lincoln’s political and moral courage when they are doing their jobs, and to take positive steps to end slavery once and for all in our lifetimes.